181 Coleridge Ave — Touloukian Touloukian Inc. 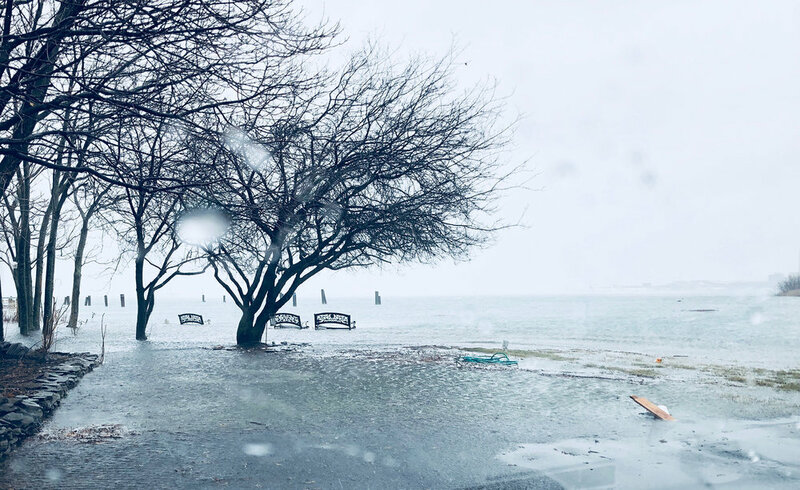 Located in East Boston, this new multi-family residential development faces many challenges as a waterfront site already affected by the rising coastal tides surrounding the Boston Harbor. The project focuses resiliency planning and Chapter 91 public spaces for the growing neighborhood showing how both requirements can be designed to benefit each other. In addition to the 19 residential units, the site features a central courtyard which helps elevate the building access points above the FEMA floodplains and gently slopes down towards the waterfront using native plantings and rain gardens to help control the on-site storm water. Amenities include a dry flood proofed underground parking garage, access to the “urban beach,” and public kayak storage. An independent townhouse to the residential side of the site helps bridge the small scale residential street language into the larger and modernly detailed development abutting large public spaces of the beach and parkway.